Over the years, blogging has become more popular and newer blogs have popped up with gorgeous food photography– so the pressure to be a better photographer has definitely increased. After all, we eat with our eyes first! 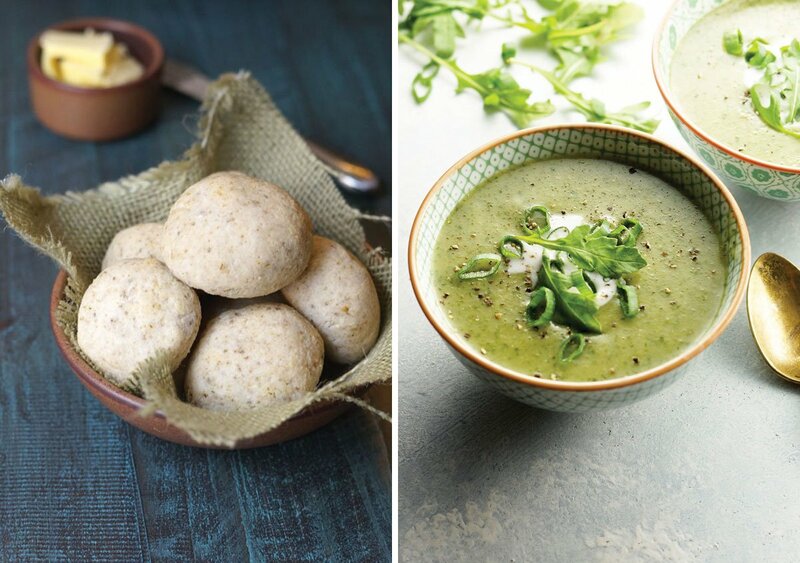 I knew that if I wanted to keep this blog up, I’d have to step-up my photography game so that my healthy recipes would look just as appealing as the mainstream recipes you see on social media. 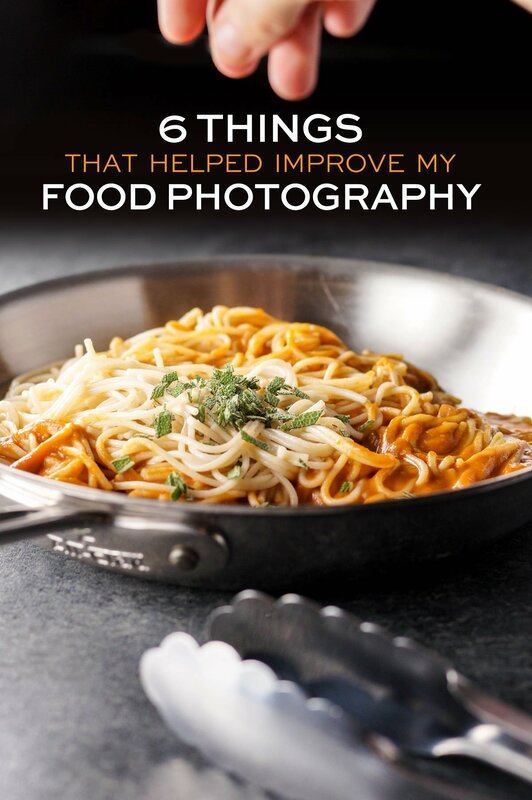 It’s taken a lot of time for me to figure out what works well in regards to food photography– especially while working another full-time job– so I thought I’d share the equipment and tips that have made my life easier. I’ve been able to narrow it down to just 6 things, and I’ve listed them in the order that I feel they are most important, so you can prioritize as you go. I hope it will help any of you looking to improve your photography skills, too! 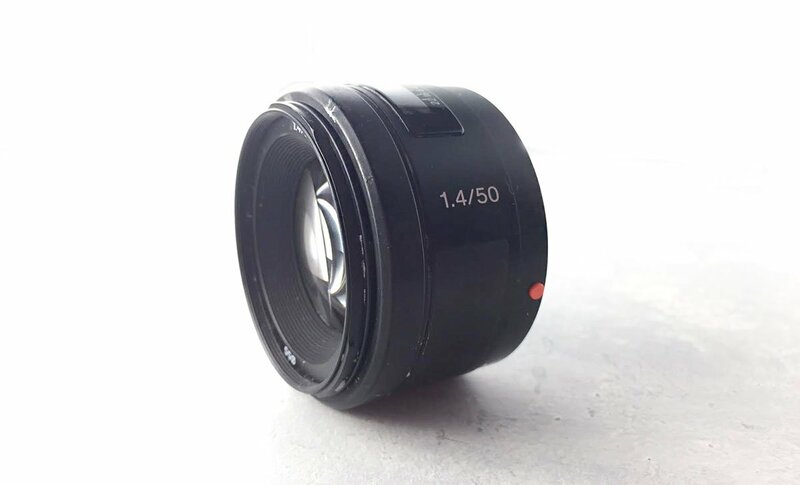 What I love about this lens is that it creates a “blurry” effect, also called bokeh– keeping a single object in the foreground sharp, while creating a beautiful blurred background. It’s also extra fast at capturing shots, so it’s perfect for trying to catch a child’s soccer game or any other action shot. (Though keep in mind that it has no zoom function, so you have to physically move your body to get the picture your want.) Food typically doesn’t move, so that makes it easy to shoot. 2. A good DSLR camera. The most common two DSLR camera brands are Cannon and Nikon, but I actually prefer Sony because it’s slightly cheaper (as are the lenses) and the quality is just as good, if not better. 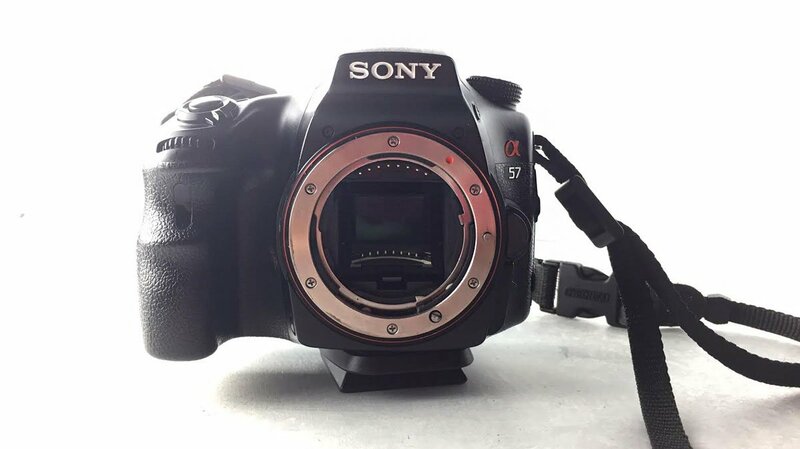 I bought this Sony A57 model in used condition, and it’s still going strong. If you want to go with another brand, the Canon Rebel is a good starter model that won’t break the bank. I’d personally buy the camera body without a stock lens, so you can save money towards buying a better lens, like the one I mentioned above. 3. Photography surfaces. I always wondered where other bloggers and photographers got such lovely surfaces, and then I discovered Erickson Woodworks. They make beautiful double-sided boards that I use as backgrounds for most of my food photography, so you’ll see their work all over this blog! 4. Indoor lighting. Many photographers will argue that natural lighting is best, and for years I used a sunny window as the light source for my photos. This is a HUGE step in the right direction compared to using your home’s overhead lights, and it’s great if blogging is your full-time job and you have the luxury of taking a picture at any time of the day. However, if you work another full-time job or are distracted with kids, it can be challenging to catch a “good window” of natural sunlight. My photography game totally changed once I bought these Lowell Ego lights. They are a little bit pricey, but they are totally worth it when you see how much better your photos can get. 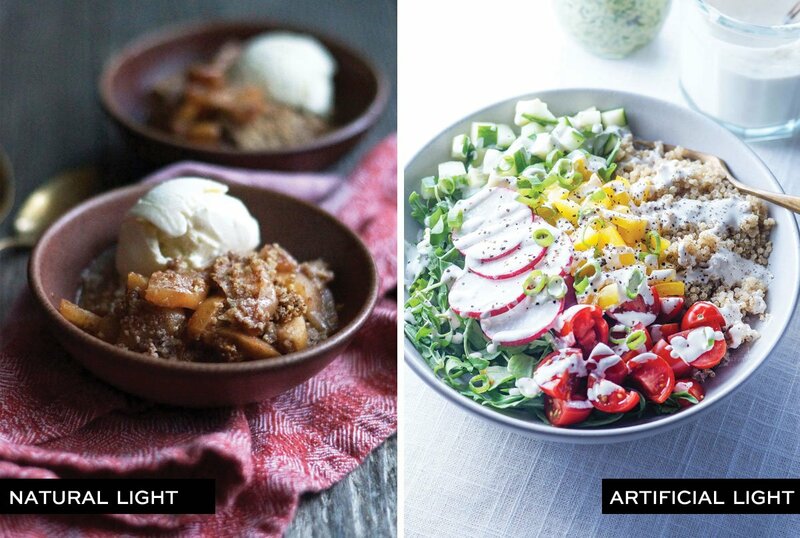 Photos are much more crisp when you have good light (like the Make Ahead Vegan Lunch Bowl pictured above), and the special bulbs used in the Lowell Ego lights are cool enough to give you a daylight feel. 5. Learn how to shoot in manual mode. I embarrassed to say I’ve owned a DSLR camera for nearly 7 years now, and I only just learned how to shoot in manual mode this year. I didn’t think it would make THAT much of a difference in my photos, so I never made it a priority, but now I’m kicking myself for waiting so long. It wasn’t until I attended Lindsay’s Pinch of Yum Photography Workshop this past summer that I mastered shooting in manual mode, and I feel like my photos were noticeably better almost immediately. 6. Lightroom. Since I work in Photoshop during my day job (illustrating greeting cards), I’ve always been most comfortable using that software to edit my photos, too. However, I tried Lightroom for the first time during Lindsay’s workshop, and I was amazed at how much faster the editing process can be! Lightroom is MAGIC for photos. Sure, you could probably get the same effect using Photoshop, but it will most definitely not be as easy or as intuitive. (And this is coming from someone who has been working in Photoshop for nearly 16 years!) 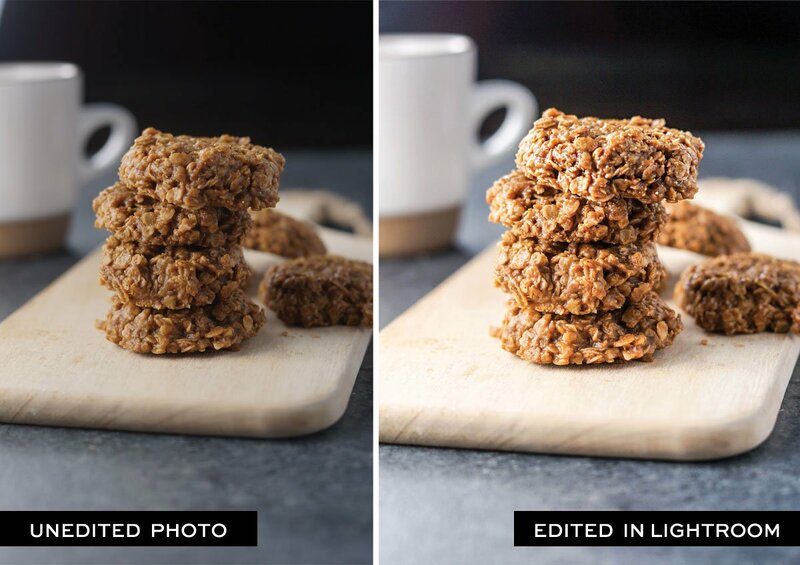 If you want an easy way to edit and perfect your photos, get Lightroom. Equipped with the tools above, I feel like I’ve seen a huge improvement in my food photography over the years. Like most things, practice makes you better, and photography is no different! The only way you’ll get better at something is by doing it over and over again, learning as you go. I hope this post will help any other budding food photographers and bloggers looking to improve their food photography. Let me know if you have any more questions in the comments below! 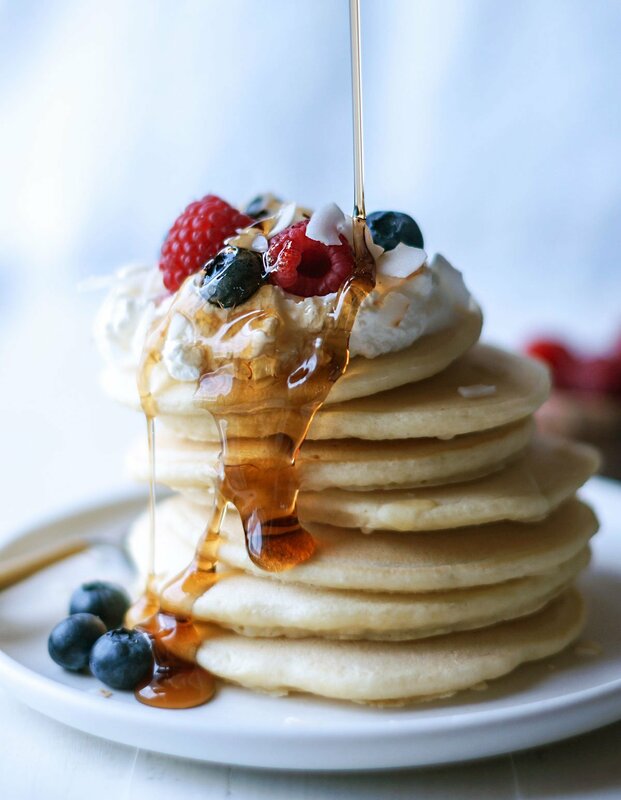 What is your favorite culinary lens to food photograph? For me, it is Canon 100 mm f / 2.8L IS USM. Very good and helpful article. Thanks! Thank you for this! It’s extremely helpful and so nice of you to share your secrets! We love your recipes by the way too! 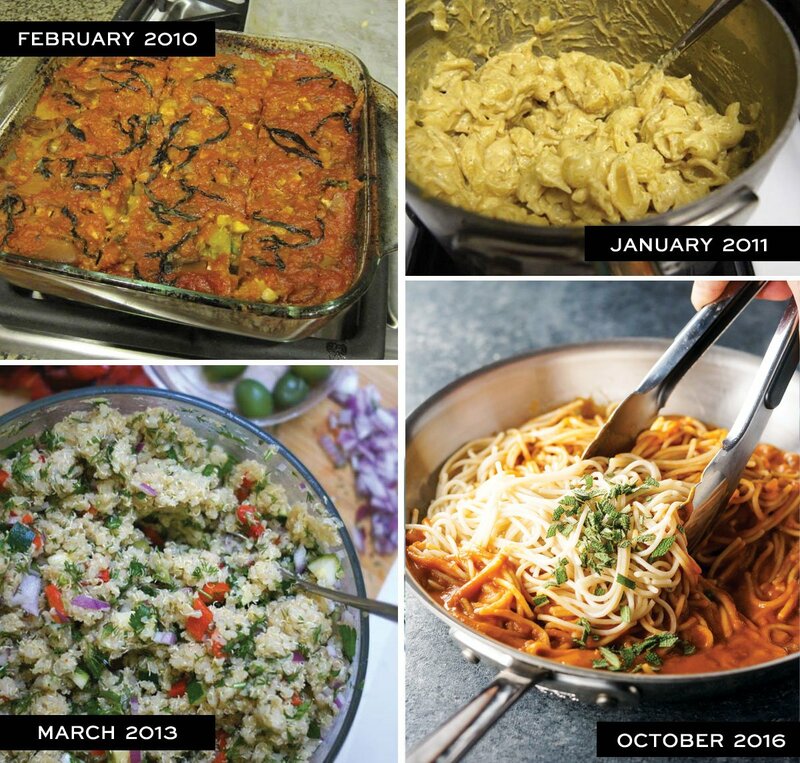 I love your recipes… and photos thank you so much for sharing. I was wondering do you handhold the camera? I noticed a (your?) hand with the pasta, I always wonder whether it is possible to shoot this without using a tripod? These tips are super helpful! But to be honest I totally miss the old days of blogging when food photos were more real and less styled! I loved your blog back in the beginning!! I still love your blog but there was a more genuine tone to everyones blogs back in 2009!! This is awesome! Thank you for doing this! I, too, have seen my photography skills grow over the years-mainly from looking at other blogger’s shots, lighting, etc. I don’t have Photoshop so won’t quite get to that level, but I do enjoy taking photos and honing my skills.